I wanted to share some first-impression mini-reviews of the Bundle of Holding's latest offering of Cthulhu-related products. The Bundles of Holding collections raise money for charity and distribute profits to game designers. Money from this latest bundle goes towards the Electronic Freedom Foundation, which defends digital civil liberties. Disclosure: my game Soth is in this bundle, so I'll financially benefit from sales. 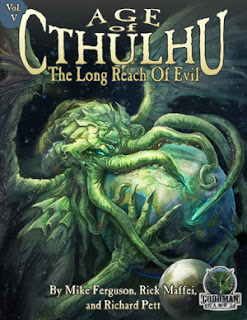 Age of Cthulhu - The Long Reach of Evil: A 1920s adventure anthology set in non-Western locations. 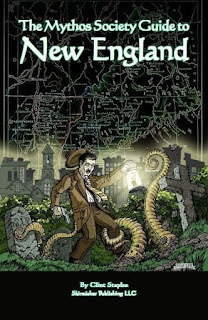 Mythos Society Guide to New England: A dense reference book that will be a useful read for a campaign based in New England. 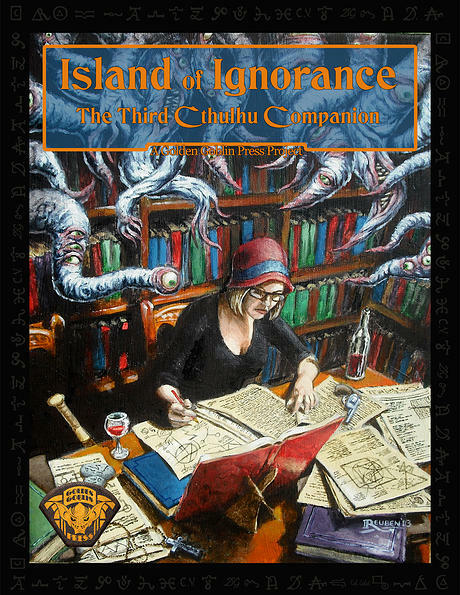 Contains a very useable, gameifiable timeline of events between 1919 and 1938, along with articles on New England's pre-European colonisation history and occult events in the centuries leading up to the 1920s. I'll look at the games in the bonus collection in another post, and then I'll choose one of the supplements to focus on in more detail. This delivers a streamlined CoC experience. I'd love to see how its slow-motion combat system plays out. Seems to come from a different LARP culture than the ones I'm familiar with (Jeepform and NZ motivation-heavy, rules-light LARPs). The rules here rely on you having a full character sheet with stats and skills that are quickly referenced in play. I'm fascinated to know what using the Accountancy skill looks like in a LARP. The more practical this system was, the better I liked it. For instance, I loved the section on monsters, complete with advice on make-up, costuming and practical effects to create shoggoths and gigantic creatures. The advice on choosing a location for the game and decorating the sets was also great. I think how useful and enjoyable you find each of the articles at the front of this companion will be very dependent on personal taste. I really like the essay describing an unearthly opera, which detailed its history, plot, and contained an adventure seed. 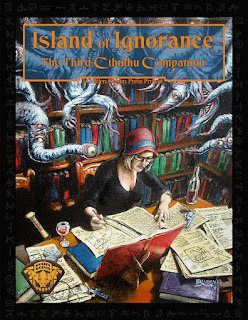 Similarly, I liked the description of an occult tome called the Knjiga Mrvta. Again it contains a mix of history about the tome's author, some adventure seeds and information about different editions. The advice for creating an investigator with a military / Great War background is simple, clear, and logical. The information about hoboes and hobo culture was detailed. This is an adventure anthology set in non-American, non-Western locales. Each adventure assumes the investigators are outsiders to the location. I immediately wanted to invert that and have the investigators be familiar with the general locale. 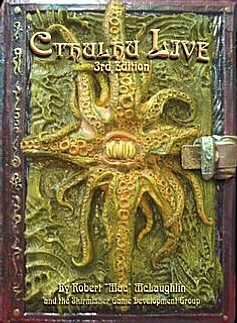 In fact, this anthology has inspired me. I'd love to do a loosely connected, shared-world campaign, where you play specific adventurers for each new adventure. The world changes as a result of any failures in an adventure, and after a while you do an Avengers-like team up of favourite surviving investigators for a suitably epic adventure or campaign. I found this instantly educational: I wasn't aware that New England was a term for a collection of states. There's a fantastic timeline of events around New England between 1919 and 1938. Feels like it'd be very easy to pick a few of these to flesh out a scenario. 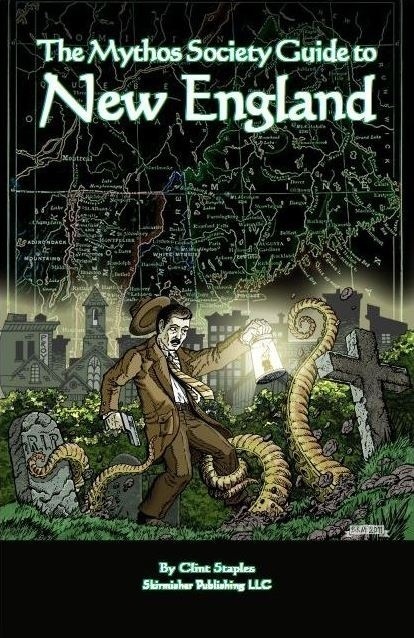 The guide also contains a comprehensive introduction to the non-European, pre-colonisation history of New England and an overview of monsters, occultists, and paranormal events (many of these are pre-20th century).